The inception of cryptocurrencies over a decade ago was the beginning of a revolution in the financial sector. Cryptocurrencies threatened the very existence of traditional financial systems as the decentralized model was hailed as the future of the economy. A decade ago, only a handful of people believed in Satoshi Nakamoto’s idea of a decentralized and public currency based on a technology almost unheard of – blockchain. Fast forward 10 years, cryptocurrencies have now gained widespread adoption, with over 2,000 cryptocurrencies currently live in the market, boasting a cumulative market cap of over $130 billion. The industry has seen it all, the non-adoption phase, the gradual rise in prices, the price pinnacle, and the great fall. The crypto bull run that happened towards the end of 2017 was one of the biggest bull runs in the history of finance. The huge surge in prices made quite a few of the early investors millionaires almost overnight and made headlines across the globe. However, just like any other asset class, risk plays a major role in the cryptocurrency sphere as well. The market correction that ensued after the bull run proved that the volatility of cryptocurrencies is yet to be regulated as most of the top coins lost a major portion of their value. Bitcoin, the largest cryptocurrency in the market, saw an 80% dip in its price in 2018 and Ethereum, the second largest coin, lost over 90% of its value in the market correction, which was followed by a radically bearish market. 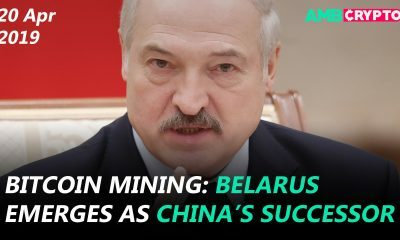 Though this presents a grim picture, the bear market also offers a new beginning for investors and the crypto markets. The last time prices were so low, almost all cryptocurrencies saw a massive bull run soon after. If history is any indication, a major rise in prices awaits the market sometime in the immediate future. Considering the extreme volatility of the market, identifying the right coins and the correct trends could just be the difference between becoming a millionaire or losing all your money. As crypto-markets and price movements are relatively unpredictable and need a lot of analysis to decipher, an easy way to understand the market was absent, until now. What is the BuySellHodl Crypto App and how is it unique? 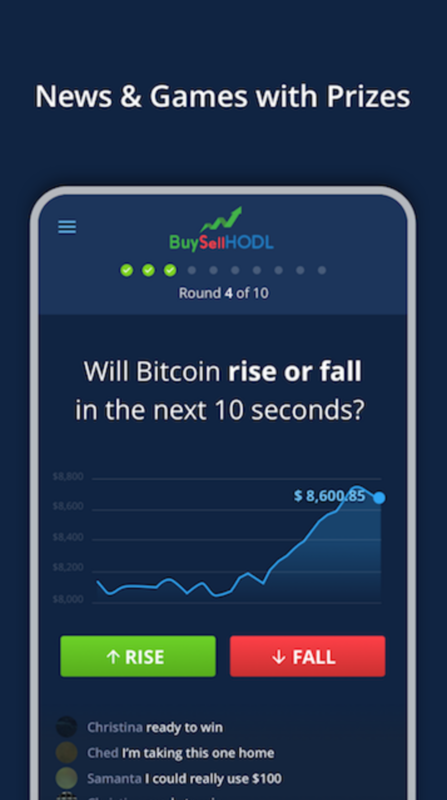 A new chapter for cryptocurrencies is upon with the launch of the BuySellHodl crypto app. The newly launched Android and iPhone app lays the foundation for exploring one of the most uncharted territories of the cryptosphere; cryptocurrency price predictions and user sentiment. The app queries its users for their opinions on the overall state of the cryptocurrency market, Bitcoin, and the value associated with the top cryptocurrencies in order to create this unique content. This data is then used as part of a proprietary formula to generate real-time 2020 price predictions, crypto ratings, and coin rankings. What makes the BuySellHodl app unique is its method of generating real-time crypto ratings, rankings, and price prediction data. By leveraging user opinions, the app is able to create fresh, real-time, and unbiased cryptocurrency ratings and price target data. This removes the shortcomings and biases of other ratings and predictions sites, and acts as an invaluable analysis tool for beginners and experts alike. 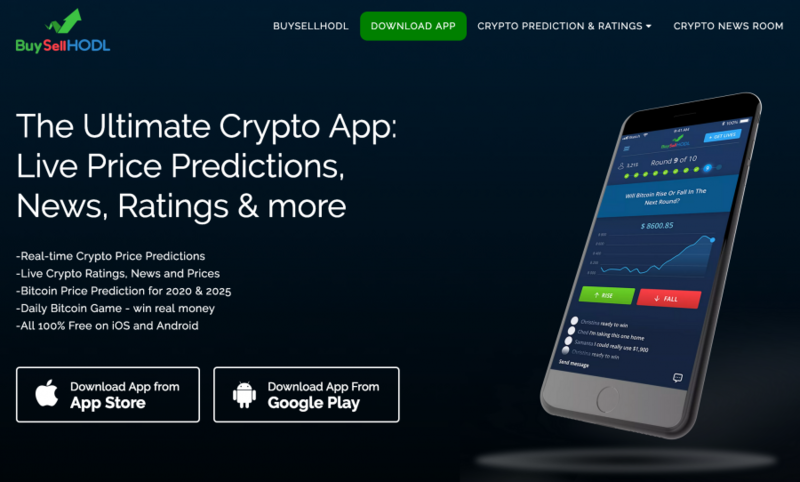 Furthermore, the live crypto ratings and price predictions are available on the BuySellHodl website, iPhone and Android Cryptocurrency App. The app is a game-changer as it has several unique features tailor-made for users interested in crypto, be it an expert or a beginner. 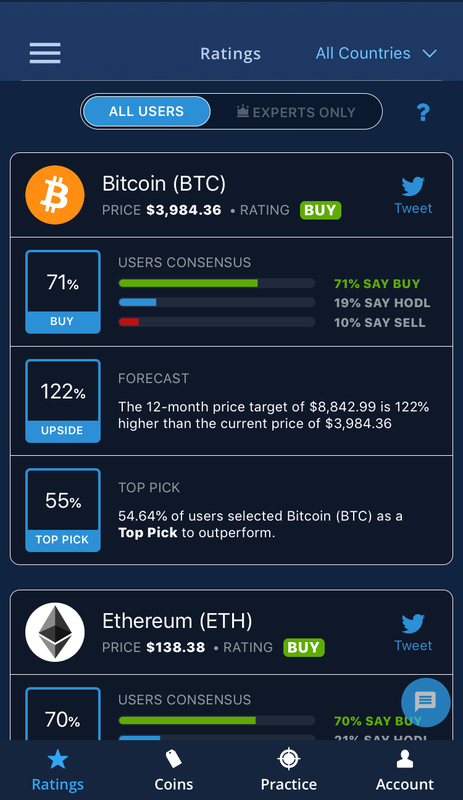 The most unique feature of the app is its 2020 bitcoin price prediction, rankings, and ratings for the top cryptocurrencies. Bitcoin, the kingpin of cryptocurrencies, is the #1 ranked coin on BuySellHodl with 71% of users saying to buy Bitcoin. 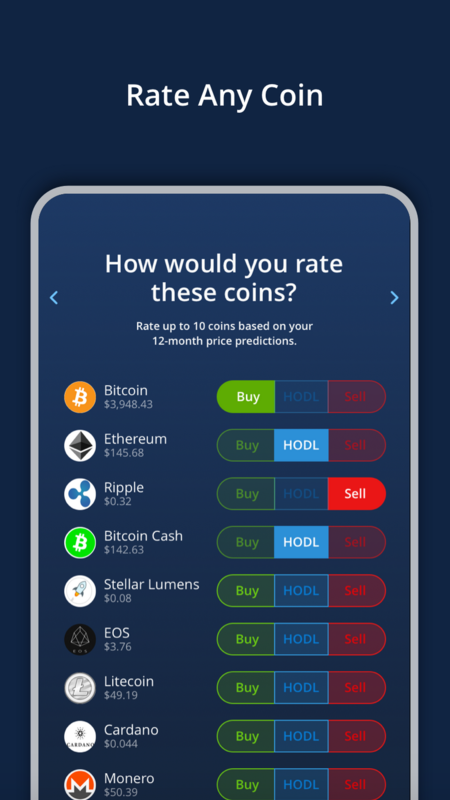 The app has a separate card for each coin wherein the Rating, Price Prediction, and Top Pick data are dislayed. The card also has three other specific sections. The first one, Users Consensus, shows the breakdown of how many users said to buy, hodl, or sell that coin. Currently, it signals ‘Buy’ for Bitcoin as the collective cryptocurrency market is at a low compared to the beginning of the year. 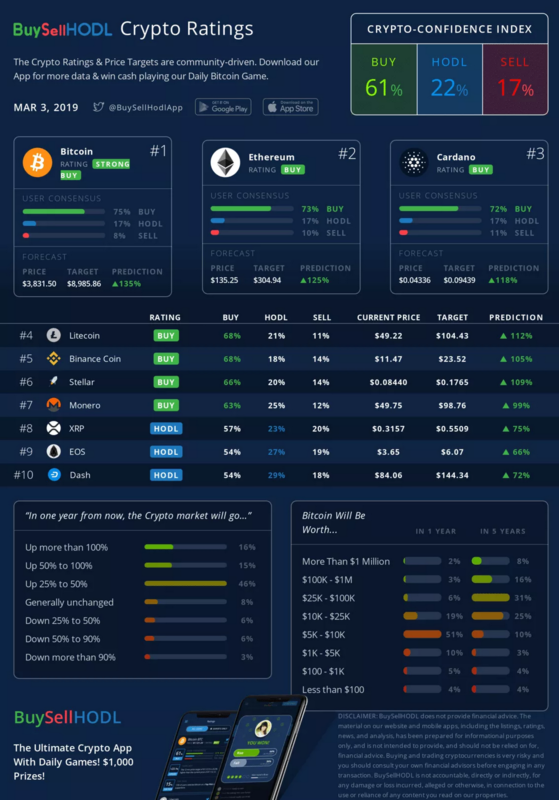 This will help users understand the market sentiment and trends regarding the price predictions for the overall cryptocurrency market and the top coins. This feature also covers other currencies, including Ethereum and Litecoin price predictions. The second feature is the Forecast for the coin. This reveals the 2020 price predictions for each coin. The 2020 Bitcoin price prediction is $8,842. This is a very bullish prediction as it would be a 122% rise from its current value if the predicted price point materializes. 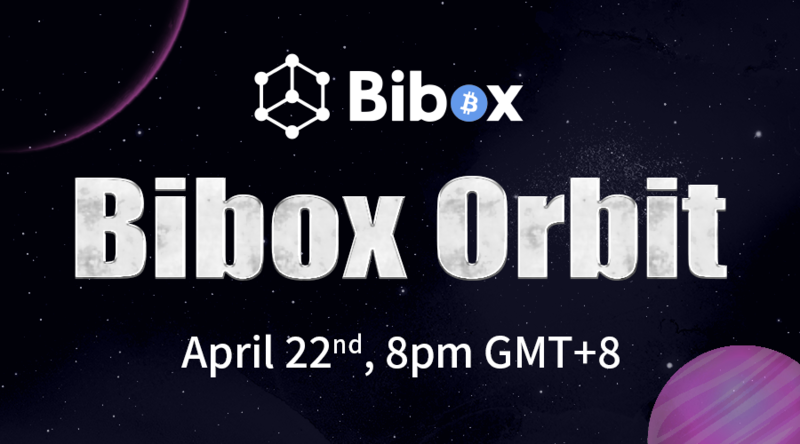 The third feature elucidates how many users actually voted the particular coin as the top pick, ie, it helps users understand the market better by understanding which currency investors think is going to outperform. The app then ranks the coins as to the best cryptocurrency to invest in for 2020. What makes BuySellHodl’s predictions accurate and distinctive? All the price predictions, rankings, and ratings are live and reflects the market appropriately. This effectively means that the data is refreshed in real-time. The proprietary algorithm that the app uses is entirely based on user predictions. Another feature that makes the app stand out is the Top Picks feature. Every user can select any three coins as their top picks and can view the rankings for each coin. The general crypto-market relies heavily on Bitcoin and its price movements to jump on the bandwagon. This means that if Bitcoin’s price goes up, most of the coins will emulate the same trend. Hence, BuySellHodl offers real-time 1-year and 5-year Bitcoin price predictions to gauge the user sentiment. This feature shows the ratings and predictions trend to gauge critical shifts in community opinions and rating changes. As the app can be accessed from anywhere in the world, it provides a conclusive outlook of the crypto market wherever you are. Users can also access the data on the website and its Android and iPhone app. The app also features a daily Bitcoin game where you can actually win real money. This is an addition added specifically to attract new users to the environment by offering them an incentive for their effort. Apart from these features, the app also has a live daily bitcoin game and a ‘practice trading game’ to help beginners make price predictions and see whether they were correct or not. Each round of the game lasts 15 seconds each and shows whether the user is winning or losing. The live Bitcoin game occurs daily with prizes ranging from $400 to $1,000. In a highly volatile market, where there are not many players helping new entrants and experts alike, BuySellHodl breathes a gush of fresh air through its user-friendly features and accurate predictions. The app could be your one-stop for everything crypto, especially if you are new to the crypto-sphere.